Mumbai, Aug 09, 2018 : According to a report by the Association for Democratic Reforms (ADR), the Shiv Sena received the maximum donation among all regional parties during 2016-17 financial year. The report is based on the analysis of the records submitted by the parties to the Election Commission of India (ECI). 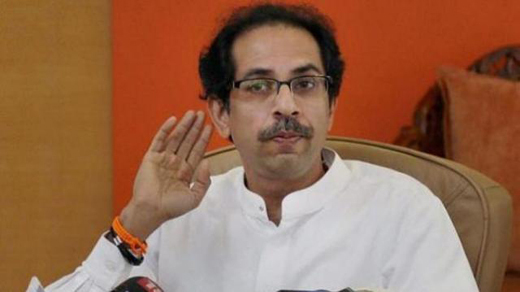 Maharashtra-based Shiv Sena received Rs 25.65 crore from 297 donations. The Shiv Sena was followed by Delhi-based AAP, which declared receiving Rs 24.73 crore from 3,865 donations. Punjab-based SAD received Rs 15.45 crore, which is the third highest among all regional parties, the ADR report says. However, the Shiv Sena saw 70 per cent decline in the donations - from Rs 61.19 crore in 2015-16. The biggest gainer during the same period was Assam-based Asom Gana Parishad (AGP) and the JD (Secular) of Karnataka. The AGP received Rs 0.43 crore registering 7,183 per cent increase over the previous year. The JDS received Rs 4.2 crore, up 596 per cent over the previous year. Interestingly, both parties have back come to power recently after a long period in wilderness. The AGP is a coalition partner in the BJP-led government in Assam that won the 2016 Assembly elections. The JDS, with 37 seats in the 224-seat Karnataka Assembly, has been heading a coalition government in Karnataka in alliance with Congress for two months. The total amount of donations declared by regional parties was Rs 91.37 crore from 6,339 donations, and 72.05 per cent of the amount or Rs 65.83 crore went to just three parties - Shiv Sena, AAP and SAD. The ADR report also revealed that out of the total donations declared by the regional parties, Rs 2.82 crore (3.09 per cent) from 1,919 donations was received in cash. The highest donations in cash was declared by Puducherry-based All India NR Congress (AINRC), which collected a total of Rs 65 lakhs, followed by AGP with Rs 41.2 lakhs and Nagaland-based Naga People’s Front (NPF) with Rs 41 lakhs. Among all the states, donors from Assam made the highest donations of Rs 72.7 lakhs in cash followed by donors from Puducherry, who donated a total of Rs 65.3 lakhs in cash. The highest donation came from Delhi (Rs 20.86 crore), followed by Maharashtra (Rs 19.7 crore) and Punjab (Rs 9.42 crore). On September 13, 2013, the Supreme Court gave a judgment saying that no part of a candidate’s affidavit should be left blank. Similarly, no part of the Form 24A submitted by political parties providing details of donations above Rs 20,000 should be left blank. Out of 25 regional parties, which had declared receiving donations, 18 parties have declared donations of donors without their PAN details.